Two Pressure Regulator by Taprite. 0-60 gauges for each keg. High pressure gauge reads 0-3000 PSI. Shut-off’s for each line. Tool-free pressure adjustment knobs. A two pressure regulator gives you the ability to keep kegs at different pressures. This is a requirement to maintain two distinct carbonation levels. It’s also handy if you want to force carbonate a keg more quickly, at a higher pressure, while maintaining your standard serving pressure on a keg that’s already being served or if you want to have a utility line for purging kegs and such. 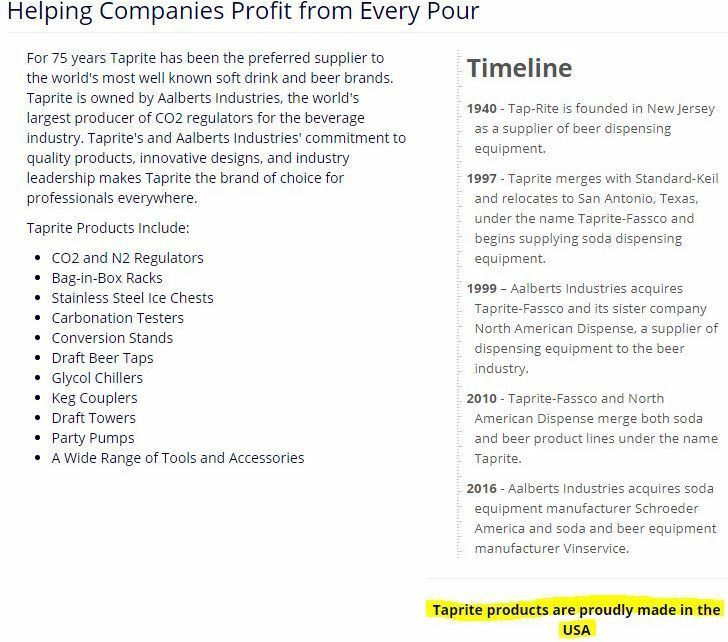 This entry was posted in Amazon, CO2 Hardware, Draft, Kegerator, Made in the US, Regulators on September 29, 2013 by admin.